I won’t bore you with the actual details, but I will just let you know that I ended up with a sinus infection and had to go in to the doctor. Let’s just say I love the Z-Pak (the wonderful five-day antibiotics that doctors use nowadays!). It is Saturday and I am finally feeling back to normal. So, that means, yep, you guessed it, I did not get any of my running in this week. Not one single day. And that makes me mad AND sad. Especially, because the weather actually shaped up and I would have loved to be outside soaking up the sun and breathing in the wonderful fresh air instead of being cooped up inside my house on my couch feeling miserable. Boo. As for my eating? Well, let’s just say I am guessing the first day of being sick I must have had a fever. Why? Because isn’t there a saying that goes like this…starve a cold, feed a fever. Well, that was me the first day. I couldn’t get enough food shoveled inside my big ol’ mouth. (I found out that a single scoop turtle sundae from Culver’s is 17 WW points!) But, luckily, the next few days were better. One, because I couldn’t taste anything and two, I couldn’t breathe while I was eating and that just made me not want to eat. I did, however, have TONS of Vitamin C.
When I am sick, I love to drink hot Tang. Yes. Hot. I boil some water and then mix it with the powdered Tang drink mix. I LOVE HOT TANG!!!!! It is so soothing and just plain ol’ awesome. I also drank plenty of Vitamin Zero Water, the orange kind. I love that stuff, too. But cold, not hot. Well, now that I am feeling better, I plan on getting back on track and am going to work on getting in at least three runs per week. Even though it is kind of gloomy out today, I plan on going for a run this afternoon. And…I cannot wait!!!!! It just killed me this week not to be able to get out there and run, but I am the biggest wimp and wuss when I am sick. The couch is pretty much where I spend my time. YUCK! So, so much for not boring you. Maybe this will help. Last night, my husband and I had our typical “date night.” Yes, we usually have it on Saturdays, but we have other plans for tonight so we decided to have it last night. Both of us LOVE mahi mahi. It is probably our favorite fish, although I have to say that yellowfin tuna is right up there at the top as well. 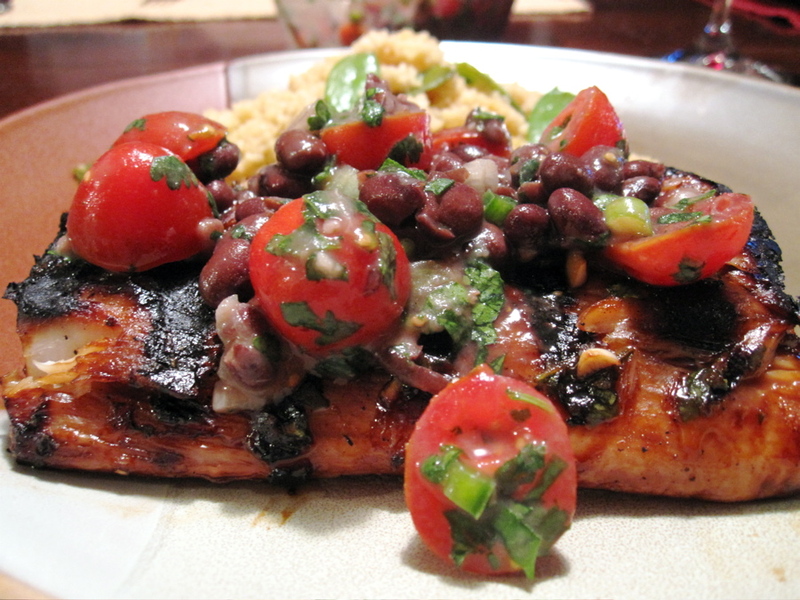 Anyway, my husband found an awesome recipe online, click here for recipe, called grilled mahi mahi with black bean salsa. Â OMG!!!!! It was awesome. Perfect. So, here is a couple of photos from our date night for your viewing pleasure. Here is what the fish looked like when I cut into it. It's meaty and thick and dense. This is good, not bad. 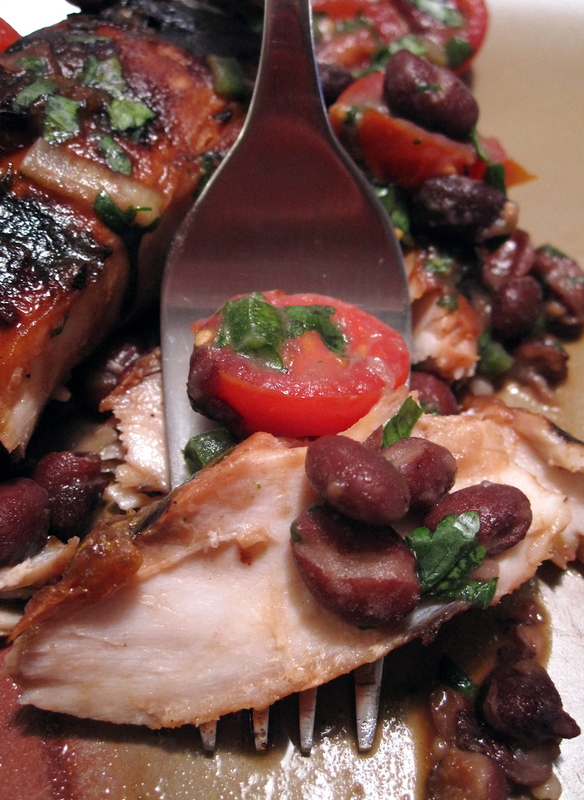 I love MEATY fish, not flaky and slimy. And of course, when we have date night, we have to have our wine. Here are pics of the two bottles we enjoyed! 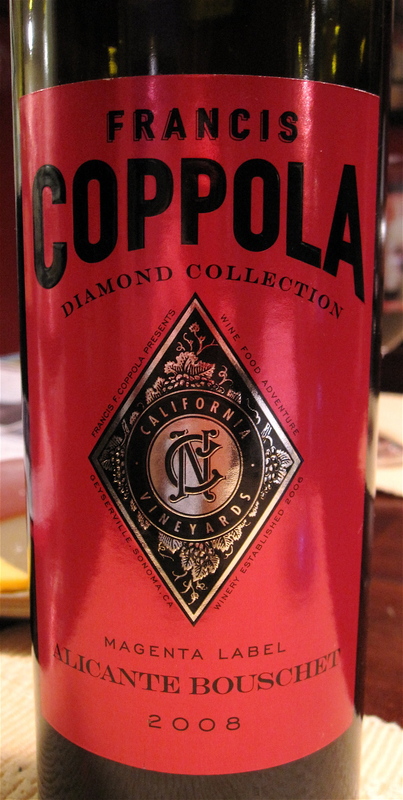 We love Coppola wines. We have never had one we didn't like. This one, however, was much better with the food than it was sipping it by itself. Another awesome wine. We have also had many Cline wines and have never been disappointed. This, too, was awesome with the food. So, until next time….have a wonderful week everyone! And, as usual, you can keep tabs on me by checking out the Confessions of a [former] Fat Girl Facebook page. Just click here.